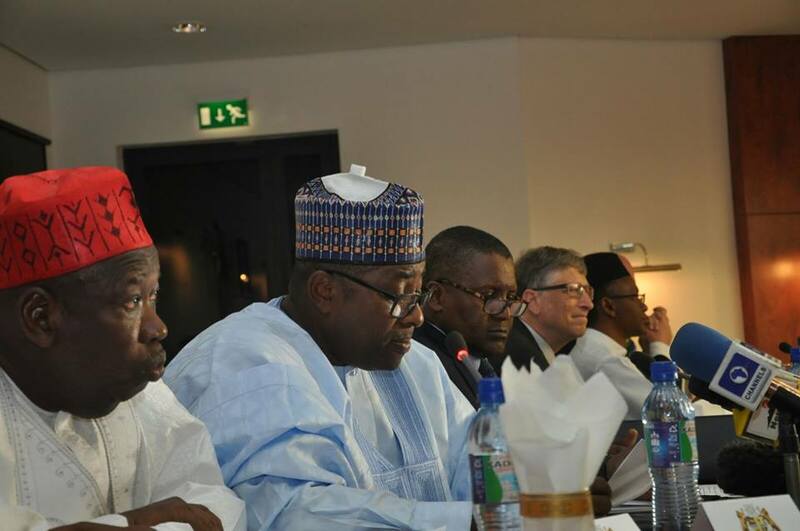 The founder of Microsoft, Mr. Bill Gates and President of Dangote Group, Alhaji Aliko Dangote yesterday signed a Memorandum of Understanding (MoU) with 5 northern Nigerian Governors to strengthen routine immunization in the region. The two philanthropists entered into the partnership with governors of Bauchi, Borno, Kano, Kaduna, Sokoto and Yobe States through Bill and Melinda Gates Foundation and Dangote Foundation respectively, to eradicate Polio and other childhood killer diseases. The MoU signing ceremony which held at Sir Kashim Ibrahim House, Kaduna had in attendance Mr Bill Gates, Alhaji Aliko Dangote as well as the 6 Governors of the states. Gates and Dangote Foundations had in the past collaborated with Nigerian governors which led to the removal of the country from Polio endemic list by the World Health Organization in September 2015. 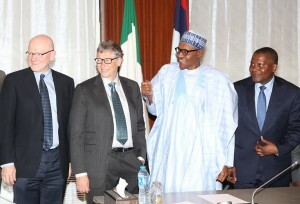 Speaking after signing the agreement, Bill Gates said his foundation is determined to eradicate polio and other related childhood diseases in Africa and globally through partnership with various states and countries. He commended the states governors for allocating a substantial sum of their annual budget to health sector. On his part, Aliko Dangote, commended the governors for their efforts in routine immunization coverage and assured them of his foundation’s support in the fight against childhood killer diseases as well as boasting the health sector. Dangote also announced the extension of additional one year partnership on routine immunization with Kano State Government. In his address, Kaduna State Governor, Malam Nasir Ahmad El-Rufai said the governors were united in their desire to improve education and healthcare of their people as a means of guaranteeing quality population. He said improving healthcare borders on provision of quality services and investing in the capacity of the health personnel. “Indeed, immunizing a child should be a simple and routine. But across Nigeria, the health system has not been invested with the capacity to consistently provide even routine services at a high standard. This partnership is about changing that,” he said. Health Reporters correspondent reported that the ceremony was witnessed by the Sultan of Sokoto and President of National Supreme Council for Islamic Affairs (NSCIA), Alhaji Muhammad Sa’ad Abubakar III and Emir of Kano, Mallam Muhammad Sanusi II.